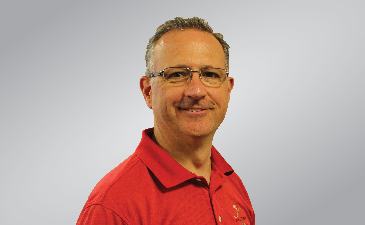 Don Keenan has over 25 years of clinical physical therapy experience working primarily with people having spinal and other orthopedic conditions. He has advanced education and training in evaluation and treatment of spinal and extremity conditions and has had the opportunity to work with and learn from leaders in the fields of physical therapy and surgery. In addition to spinal care, Don’s special areas of clinical interest include working with people who have shoulder and scapular dysfunction, hip pain and nerve entrapments. Beyond treating patients in the physical therapy clinic, Don also enjoys working as an adjunct instructor for the Physical Therapy department at Lebanon Valley College in the musculoskeletal courses and working with students in the clinic as a clinical instructor. When away from the office, Don enjoys time with his wife (who is also a P.T.) and their two grown daughters. He is a bicycling enthusiast and enjoys active vacationing.